Disclosure: This is a sponsored post, and it contains affiliate links for your shopping convenience, but my opinions are my own. Read my full disclosure policy here. All homes have mold and mildew. Under the right conditions, like a steamy bathroom, mold and mildew can grow in as little as 48 hours. Learn how to clean mold without scrubbing. These are my favorite tools and tricks to get rid of mold and mildew in the bathroom, once and for all. As far as first impressions go, my introduction to our neighbors was a doozy! Sweaty, red-faced, hair in a messy, crooked ponytail, dressed in a bleach-stained T-shirt and capris with the knees worn out and smelling of every household cleaning product you can imagine. That’s how I had my first meet-and-greet with both pairs of next-door neighbors. I can only imagine what they thought of me! (Hopefully, years later, they’ve forgotten all about that unkempt Cinderella version of me!) But I was a woman on a mission to get our new master bathroom sparkling clean after what I can only imagine was months of neglect and lackluster cleaning by the previous homeowners. I sweated. I scrubbed. I bleached. I scrubbed some more. No shower was cleaner. Despite the hours I spent on my knees, scrubbing and scrubbing some more, I couldn’t get rid of all the mold stains in the grout in our master bathroom shower. We eventually ended up regrouting the entire shower, and we eventually plan to change out the shower surround, as well, since it is etched with hard water stains. Now I’m on a mission to zap nasty bathroom mold and mildew before they become huge problems! 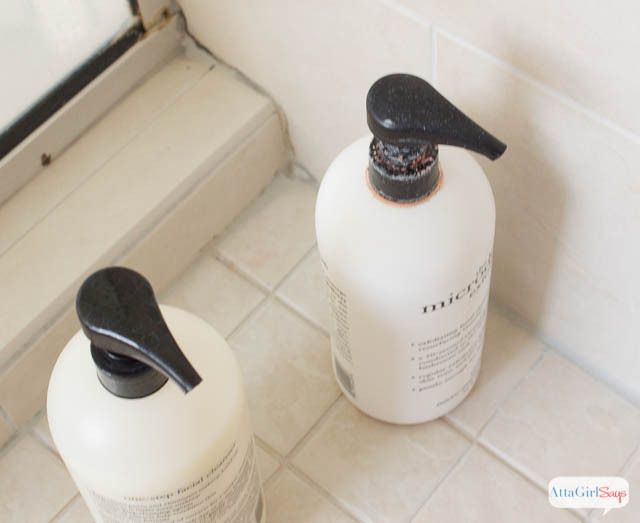 In this post, I’m sharing my favorite tips, tricks and products for how to clean mold and mildew in the bathroom. I know you’ve seen them — those black, pink, red and green splotches on your bathroom surfaces. 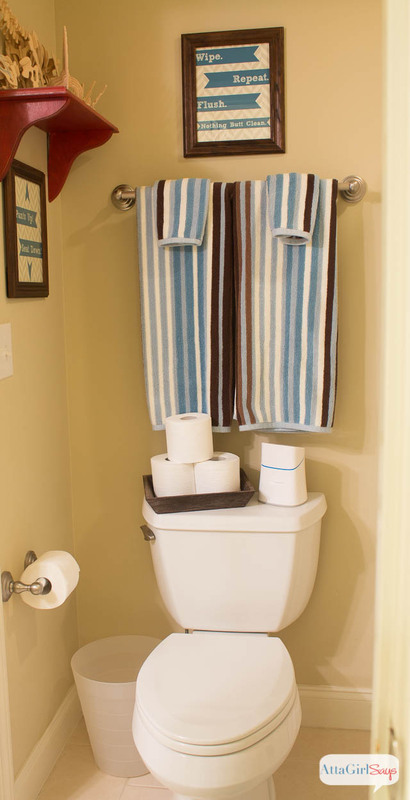 Every bathroom harbors mold and mildew. And the warm, moist conditions in bathrooms are the perfect incubator for mold and mildew! Ick. I personally hate scrubbing the bathroom. In fact, it may be my least favorite chore. So, I’m always looking for cleaning products that do the work for me. If you can’t find these products, I recommend using straight-up bleach. 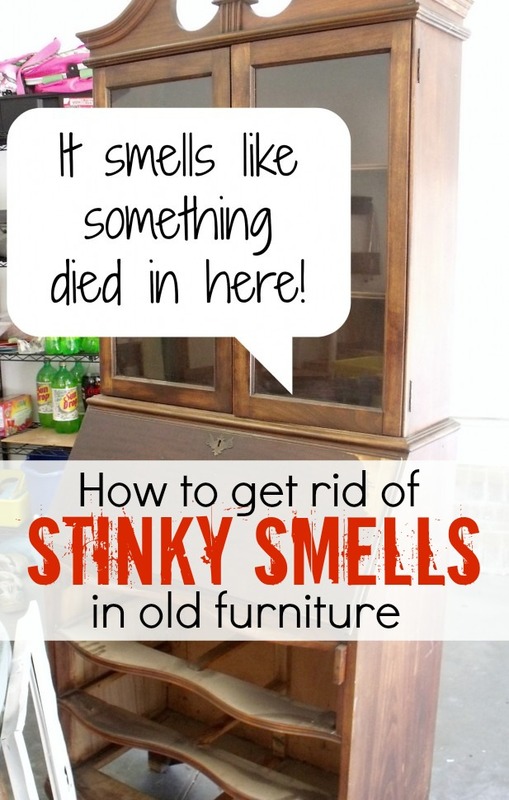 Spray the bleach on the mold and mildew and let it sit. That should take care of most of the problem, with minimal scrubbing required. Just be sure that the area is well ventilated. In our bathrooms, there are certain hotbeds for mold and mildew, particularly places that remain wet after use. In fact, prevention is probably my best tip for dealing with mold and mildew. Wiping down tubs, sinks and showers after using them will inhibit mold growth. Invest in a squeegee for your shower and use it, especially if you have tile. I’m getting ready to show you some very ugly photos of our bathrooms — before I cleaned them. Please don’t judge; I neglected them for a while to get these photos. (Or maybe I was just too busy lazy to clean!) Remember all homes have mold and mildew. Under the right conditions, like our steamy master bathroom, mold and mildew can grow in as little as 48 hours. But first, here are a few afters, before I show you the before. Sparking clean — no mildew here! A fresh and sanitized bowl! A bathroom fit for guests! Here are the 13 places where mold and mildew live in the bathroom and my tips for cleaning them. 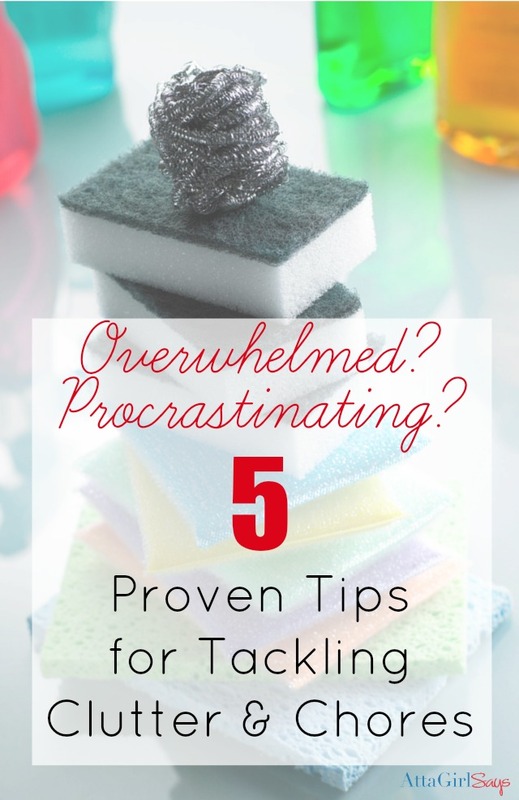 I hope you’ll find these tips for how to clean mold useful as you tackle your own chores. 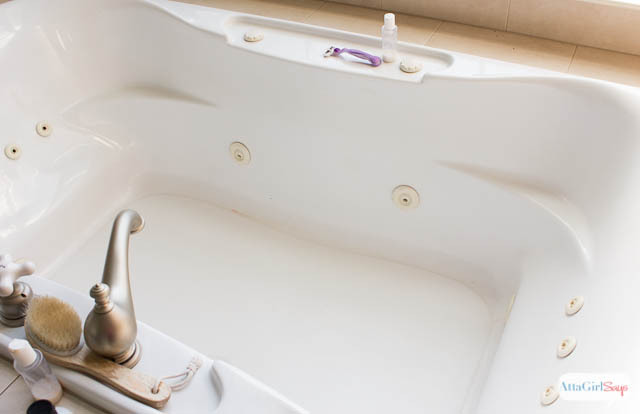 Unless you wipe out your tub after every bath, chances are you’ll start to see mold and mildew growth around the drain and in raised areas where water tends to pool. The large, deep jetted tub in our master bathroom can quite the breeding ground, and it’s nearly impossible to clean without climbing inside to scrub the bottom of the tub and the sides. If you have a jetted tub, be sure to spray the jets with cleaner; mildew likes to hide in there. When the tub is filled with water, turn on the jets to give them a good rinse. You can also fill the tub with water and add bleach and soak. Just be careful that small children and pets don’t have access to the bathroom while the tub is full. Check your tub and shower drains for a pinkish, green or black ring — a sure sign of mold or mildew. How to clean mold in drains: Spray them with cleaner and rinse, and if you’re feeling super domestic, buff dry to remove any water spots! Particularly in bathrooms that don’t get a lot of action, like our guest bathroom, you’ll find mildew rings around the bowl. 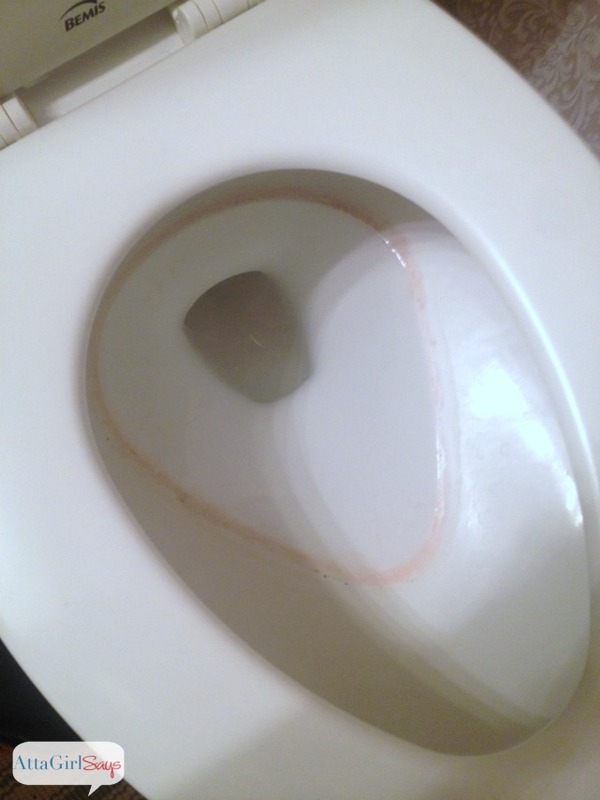 How to clean mold in toilets: Just spray with cleaner, wait a few minutes, close the lid and and flush! Be sure to spray under the lip of the bowl, as well. I like to swipe my toilet brush under the rim and in the bottom of the bowl as well, just to make sure the entire surface is clean. Don’t forget to wipe down the seat, where the seat attaches to the toilet and those other spots boys seem to target! Flushing regularly can slow down the growth of mold or mildew, especially in bathrooms that aren’t used often. Mold and mildew loves nooks and crannies. If you don’t dry your countertops or sinks every time you wash your hands (what a novel concept), mold and mildew can grow in those seemingly innocuous water droplets. 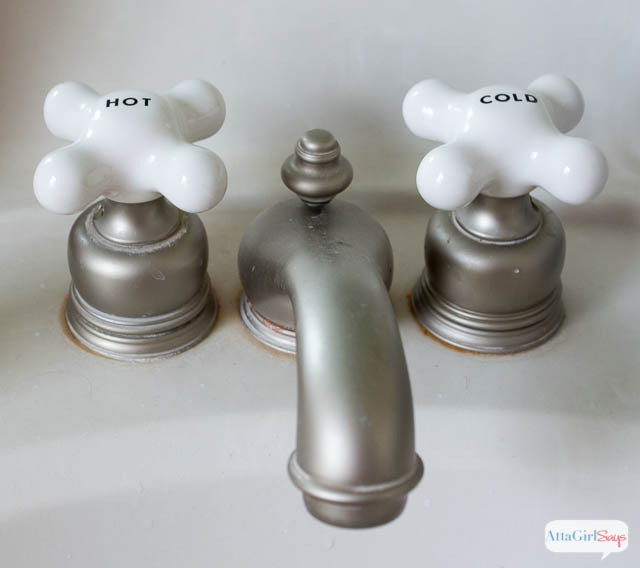 The next time you wash your hands, touch your finger on the underside of your faucet. I bet some black gunk will come off! For some reason, this happens more on my husband’s and son’s sink than mine. I guess they’re just nastier than I am. Don’t forget to clean the underside of the faucet when you’re cleaning your bathroom. 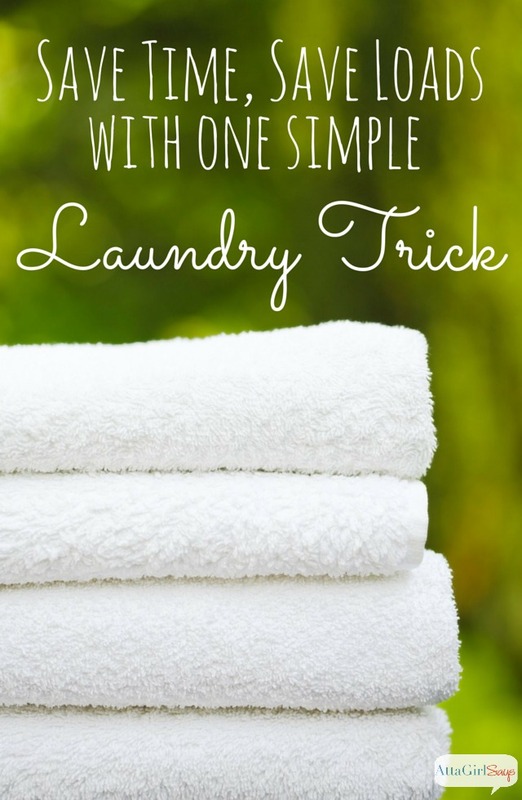 A quick spray with a bleach cleaner, wait a few minutes, then turn on the water, and no more gunk! 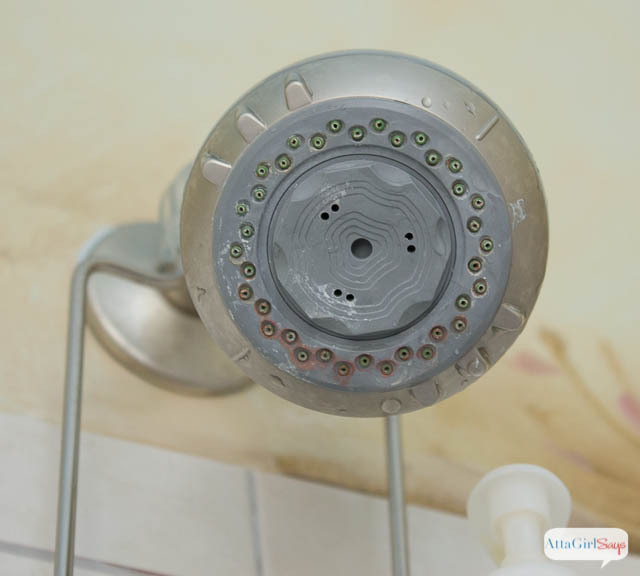 While you’re looking under things, the next time you’re in the shower, look up at the shower head. See that pink stuff? Mildew. Spray it away — no wiping necessary. 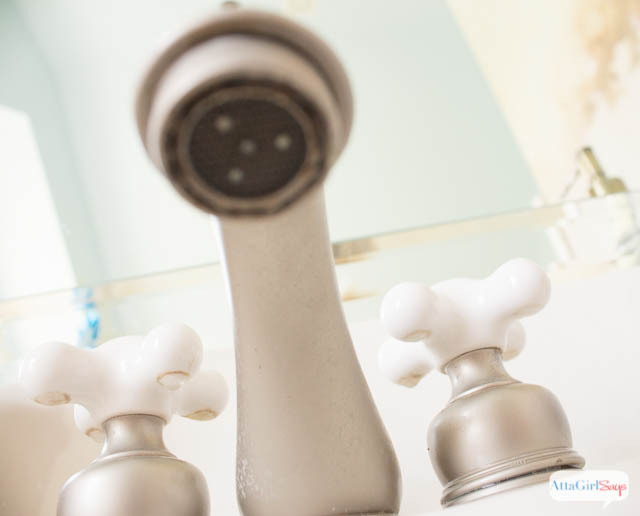 After you spray it, you might consider covering the showerhead with a clear bag and securing it with a rubberband. Then turn on the water and let the showerhead steam clean itself. Speaking of showers, check out the hem of your shower curtain. You’ll often find mold or mildew stains there. 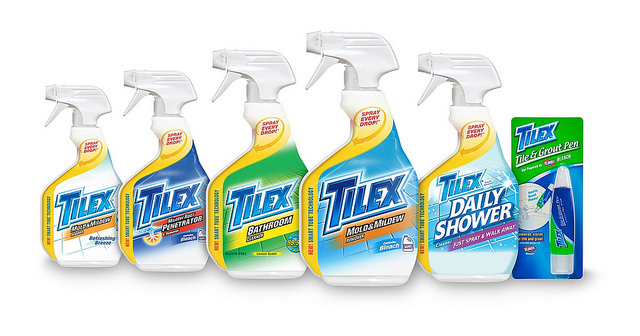 Once you’ve cleaned the stains by spraying and rinsing with Tilex®, I recommend using a daily shower cleaner to keep mold and mildew at bay. It inhibits hard water stains, soap scum buildup and also helps ward off mold and mildew. You can also wash shower curtain liners in the washing machine — even the plastic ones. And yes, you can bleach them. 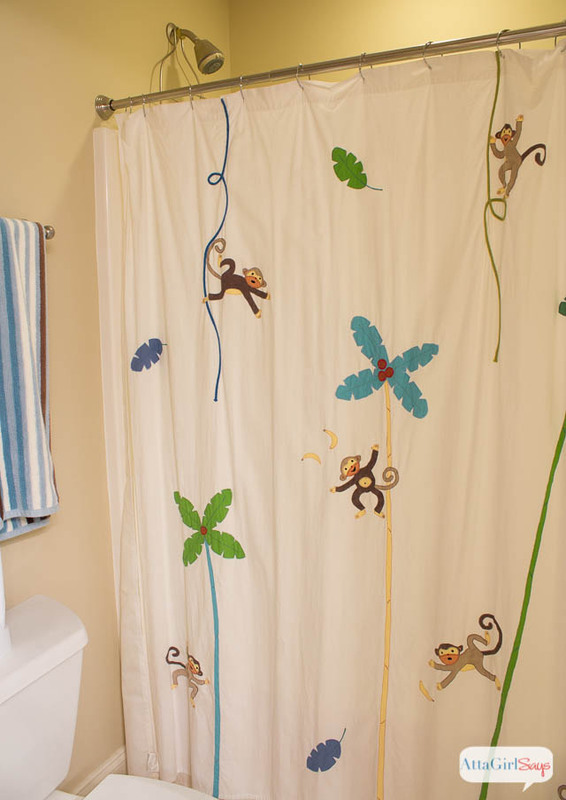 I actually switched to mildew-resistant shower curtain liners years ago. They’re more expensive, but hold up so much better than the plastic ones. And they do stay clean and mildew-free much longer. Showers can be pretty nasty places. 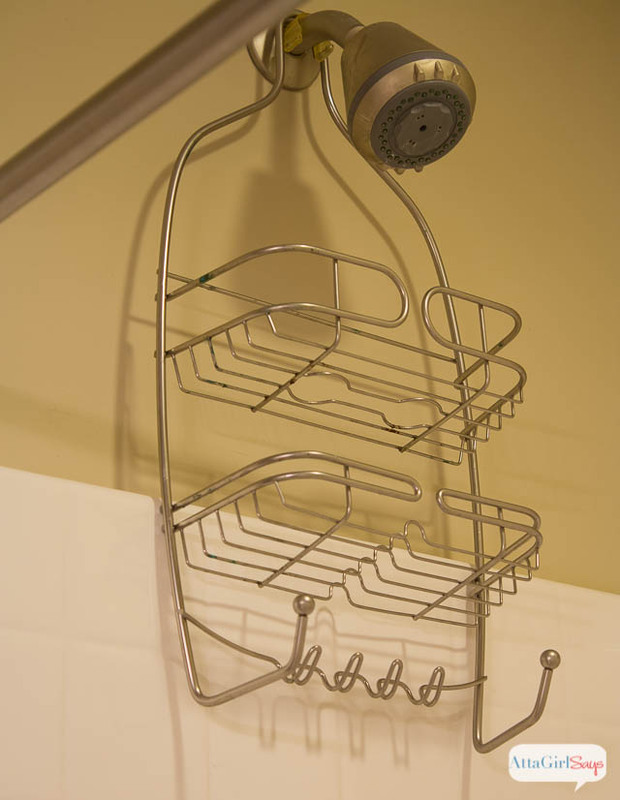 When’s the last time you cleaned your shower organizer or caddy? You may want to if you see the tale-tell signs of mold and mildew. 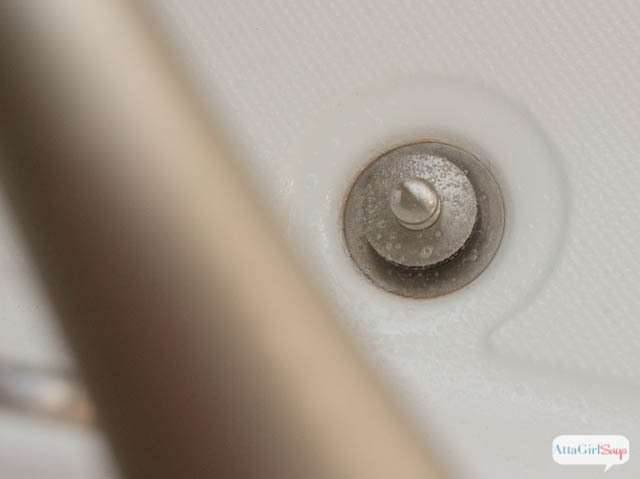 How to clean mold on shower caddies: To clean ours, I spray it down and soak it in the tub. A spritz with daily shower cleaner will keep it clean. You can also soak in a bleach-water solution while you’re cleaning the tub. 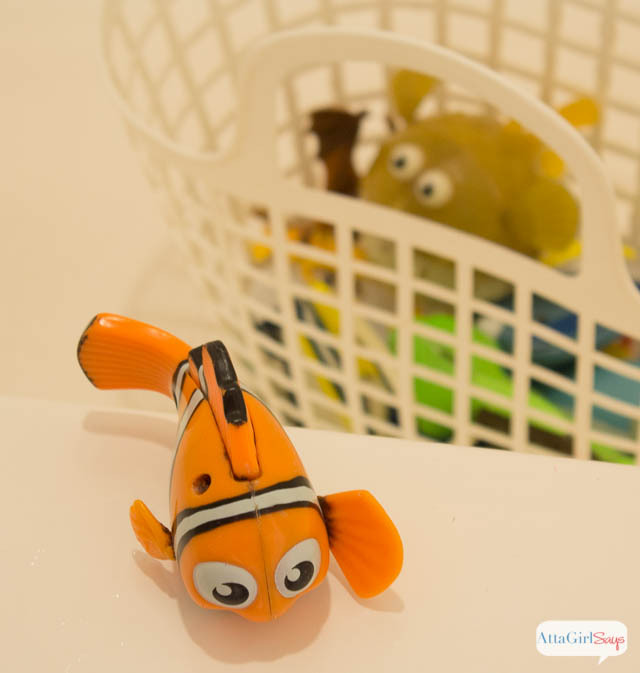 Just because they soak in the bathtub with your kids does not mean bath toys are clean. These things stay wet — and moldy and mildewy. Ick. If your kid has a rubber duck, turn it over and look at that hole in the bottom. Chances are it’s black with mold. And I bet there’s even some old bathwater inside the ducky. Gross. First, squeeze it out and give those toys a real bath. How to clean mold on bath toys: Spray liberally with Tilex, then rinse thoroughly and dry. You can also soak toys in a bleach water solution to clean them. Store bath toys in a container with drainage, and if possible, dry them off every night to keep them clean. Since it’s outside the shower, I’m betting the shower door handle might not be part of your bathroom cleaning routine. But it probably should be. 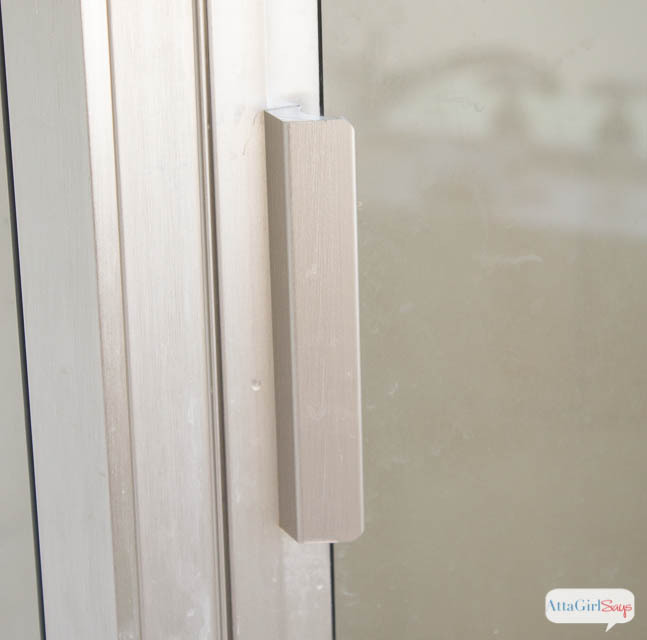 Mold and mildew can develop on the surface and crevices of door handles — not to mention all the other nasty bacteria and fungus that can live there! The shower doors in our master bathroom are definitely a problem area. We eventually want to replace the entire surround because the doors are etched with hard water stains. The door seals are also stained from the previous homeowners, and they trap moisture and mold and mildew. I’ve been zapping them regularly with Tilex® Mold & Mildew Remover and Tilex® Daily Shower Cleaner to keep them from becoming a petri dish. In addition to regular cleaning, I’ve discovered that our shower stays cleaner longer if we squeegee the walls and doors after each shower. It only takes a few minutes after you turn off the water to squeegee the entire shower from top to bottom, directing the excess water down the drain. If you’re really industrious, try drying the shower surfaces with a towel. Grout is a mold magnet! Warm water tends to pool, especially around the corners of the shower floor, and before you know it, you’ll start seeing grayish or black stains. How to clean mold in grout: If you don’t kill the mold with a product containing bleach, the stains are going to stick around and become a real bear to clean. 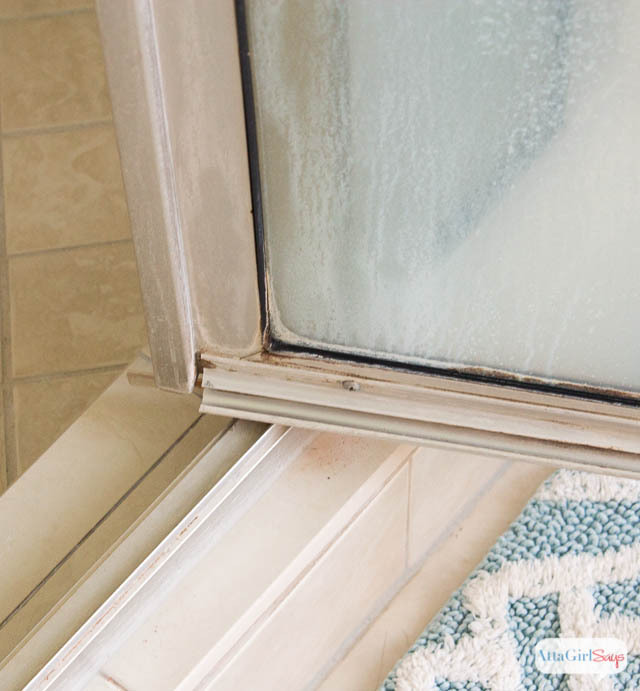 It’s also a good idea to squeegee or dry these problem areas after every shower. It’s also a good idea to run the fan during and after your shower to remove any moisture from the shower. Shampoo, conditioner and toiletry bottles get wet every time you take a bath. But how often do you clean them or dry them off? Check out the bottoms of those bottles and the tops of pump dispensers for hidden mold and mildew. You know how flat surfaces, like countertops and coffee tables, can be dumping grounds for paperwork and clutter? 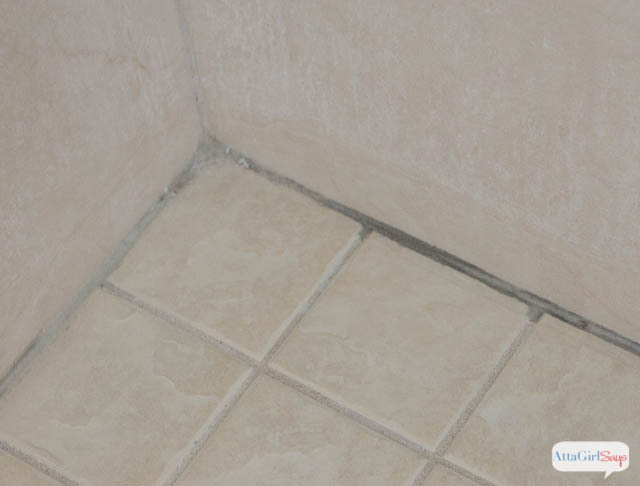 The flat surfaces in your bathroom where water pools can harbor nasty mold and mildew. 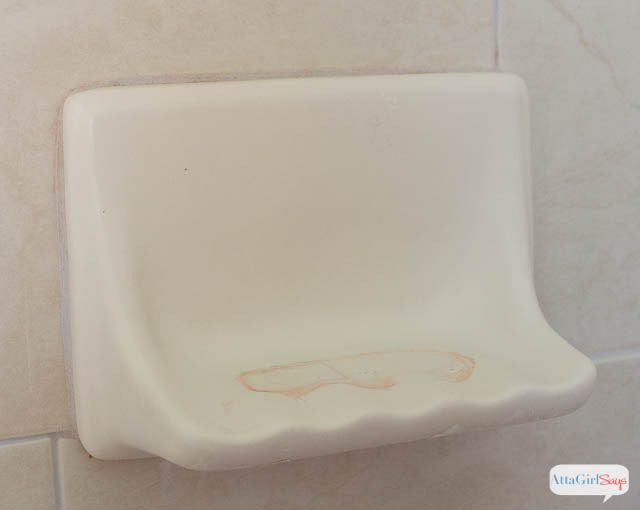 Soap holders, shower ledges and tub surrounds are big culprits, so be sure to clean them regularly. Do you feel inspired to go clean your bathroom now? I’ve shown you our dirty bathrooms, so ‘fess up and tell me where mold and mildew lives in your loo! 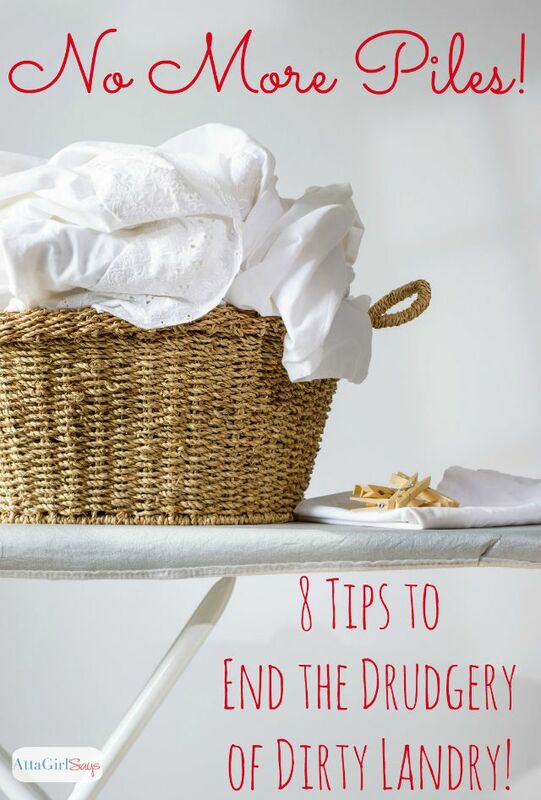 I hope you’ll find these tips for how to clean mold and mildew useful as you tackle your household chores. We have a lot of iron in our water, I need something powerful to get rid of tough grime. I’ll have to give this a try! I HATE cleaning the bathrooms! You totally have inspired me to though… once you see the importance it’s so worth it! I hate mold. Thanks for all the tips. Okay, time to scour the bathroom. Ha! I’m sure I have a lot of the same areas of mildew. My husband does toilets I do the rest … with products like this he will never let me get a maid! That’s okay the money I’m saving by not having a maid can be spent on shoes! 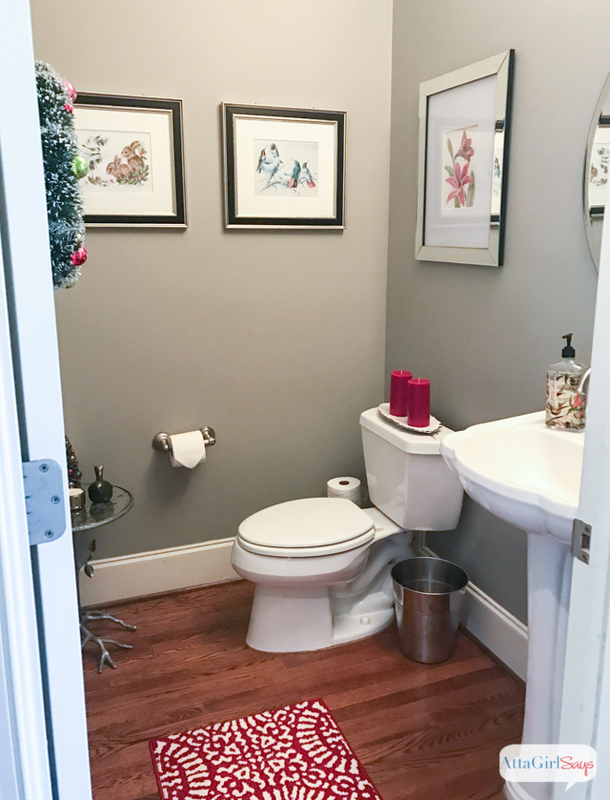 Well, I have to admit…my bathroom gets yucky stuff in all of the same areas! Particularly the shower nook and crannies and that annoying toilet ring! I usually scrub it with a pumice stone and it wears me out, so I will definitely try the tilex, because I could use a break from all the scrubbing! Thanks for the informative post! I so need that Mold Root Killer stuff! We have a huge walk in shower that is nothing but white tile and white grout. when we first moved in I thought it was so pretty but now all I see is grout, cracked, and mildew! Yuck! Some really solid advice here, though seeing how beautiful your bathroom is has made me feel rather envious! Love those taps! I totally needed this for my bathroom, most especially for toilet and grouts. I’ll definitely apply what I’ve read in here. Thanks Amy for sharing this to us! 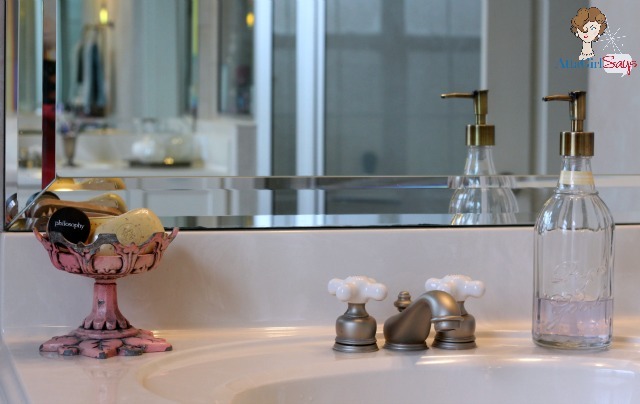 Keeping bathrooms mold-free can be a real task with all the things that are exposed to moisture, but prevention is far better than trying to scrub off a build-up of black, pink, and green stains! Thanks for sharing, your bathroom looks great!